Michel Petrucciani was born in Orange, France, on December 28, 1962. Thirty-seven years later, on January 6, 1999, he died. Others have written about the osteogenesis imperfect that shortened his stature and his life. I’ll just say that Michel could have been the poster boy for overcoming adversity, and leave it at that. Despite his all-too-short life, Michel Petrucciani played with several prominent musicians including Freddie Hubbard, Charlie Haden, Charles Lloyd, Jim hall. With a height of only three feet, he may have been short in stature, but as long as jazz is a viable art form, the name Michel Petrucciani will live on as one of the largest talents ever to sit at a piano. He made his first professional appearance at age 13 and recorded his first album four years later. The album I want to talk about this time around was recorded in November of 1997 but was not released until two years later, almost a full year after Petrucciani’s death. I am speaking of the classic, “Trio Live In Tokyo”. 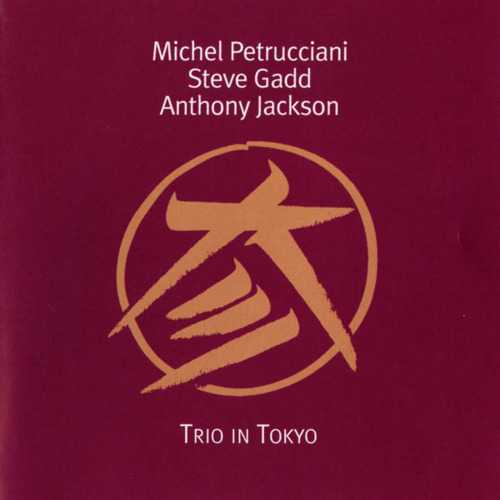 “Trio Live In Tokyo” consists of eight songs, seven of which were written by Petrucciani. The eighth, “So What”, was written by Miles Davis. From the opening notes of “Training” we know that this is not going to be an evening of excitement and energy. Petrucciani plays with a force that catches the unwary by surprise. Only toward the end does the pace slacken slightly. “September Second” begins with the same hard-hitting style for which he was famous. Jackson and Gadd are not just along for the ride, either. The three work like a well-oiled machine, and between them they carry this delightful song from start to finish superbly. Track three, “Home” opens quietly as Gadd and Jackson take a break and let Michel work through the opening solo. His style is so deft that if the music weren’t recorded live, you could almost believe you were listening to two pianists, in synch. A couple of minutes in, Gadd and Jackson return, Gadd softly with brushes and Jackson barely plucking the bass. About four minutes later the pace has quickened and we are back into the dynamic, hard-driving style Petrucciani’s fans were used to. Next we have “Little Peace In C For U”, a delightful song, and the audience can be heard at times expressing their agreement with that assessment. Unlike most of the other songs on this album, in this one Jackson and Gadd both get opportunities to step to the front, so to speak. The audience hoots their pleasure during the solos, and rightly so. These are after all not just any side men. Gadd has for years been one of the most sought-after drummers working, appearing with such diverse artists as Eric Clapton, James Taylor, Al Di Meola, Paul Simon, Chick Corea and Kate Bush. Jackson likewise has been “around the block”, performing with Pat Metheny, Buddy Rich, Mike Stern, Steely Dan, and Chaka Khan, to name only a few. At the end of the song, Petrucciani introduces his cohorts, and is in turn introduced by (I think) Gadd. “Colors” is the longest song on this album, running just under eleven minutes. It begins quietly with Petrucciani solo. By a bit after four minutes in, the pace has picked up nicely. This is a long song, and the tempo continues to build, slowly, ever so slowly, as it goes along. At the end of “Colors”, the band intros are once again made. Then the group launches into the final tune, Miles Davis’ classic “So What”. I have to tell you that at first I didn’t care for this version of the song. You may feel that way as well when you first hear it. It just doesn’t sound right without Miles’ mournful, haunting trumpet. But if you give it time and listen to it a few times, I think you’ll begin to appreciate the genius of this arrangement. The audience, quiet through the song, expresses their pleasure. From YouTube, here is the trio doing “So What”. Note this is not an actual video of the concert, just the song accompanied by an image of the album cover. To state the obvious, Michel Petrucciani was a great pianist, a wonderful songwriter, and his enormous talent has been missed. Luckily we have albums like “Trio Live In Tokyo” to remind us of just how great his talent was. I am certain that you will find “Trio In Tokyo” an excellent addition to your personal playlist for a Saturday, or any other, night! You can learn more about Michel Petrucciani and his music here, or here, or here. His music is available for purchase or legal downloading at the usual places.